Although many parts of the digital camera are important, the lens might be the most important one. Without a quality lens, your photos have no chance of being sharp and bright. However it can be difficult to decipher the exact differences between lenses without knowing some of the camera terminologies specifically for lenses. It can be a little confusing to understand some of the terms commonly used with lenses. When shopping for a camera, make sure you pick the type of lens that will work well for your situation by learning the most important camera lens terminology. Zoom. Some photographers refer to zoom as the magnification of an image, allowing the photographer to shoot a "close-up" photo without having to move closer to the subject. However, the actual definition for zoom is the ability of a lens to shoot at multiple focal lengths. In other words, the zoom lens can shoot a wide angle shot or a telephoto shot or both. Not all lenses offer a zoom capability. Optical zoom. Optical zoom is the ability to change the focal length of the lens using hardware inside the lens to change the focal length. Optical zoom is the preferred method of zoom, as it does not negatively affect image sharpness because of the reliance on the hardware in the lens to make the changes. Optical zoom is a feature found with fixed lens cameras, rather than DSLRs. Digital zoom. Digital zoom is the type of zoom where software inside the camera changes the focal length by simply magnifying the image. Because digital zoom involves increasing the size of the pixels, digital zoom sometimes can negatively affect image sharpness. 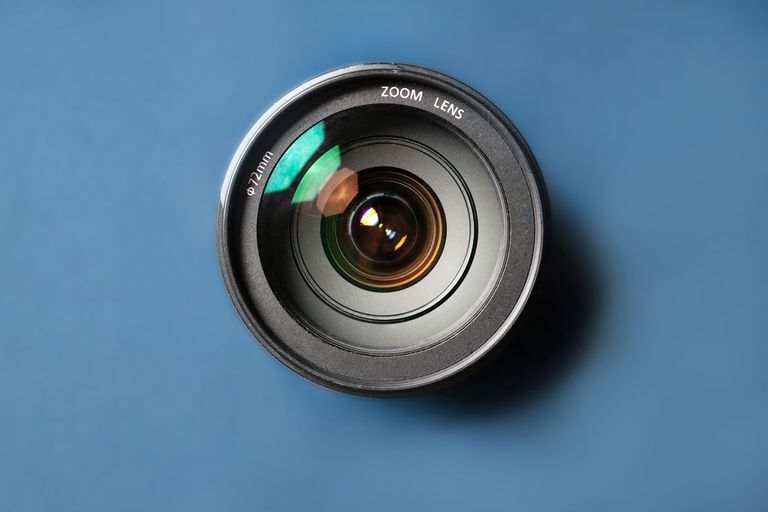 When buying a camera, do not focus on digital zoom, as most photographers can duplicate most aspects of digital zoom with post-production software. Pay attention to the optical zoom number instead. Interchangeable lenses. High-end, DSLR cameras, and mirrorless cameras can make use of interchangeable lenses, where different lenses provide different capabilities. With many interchangeable DSLR lenses and mirrorless camera lenses, image stabilization is built into the lens, limiting camera shake and improving image quality. Focal length. The focal length is the measurement of the distance from the center of the lens to the focal point (which is the image sensor in a digital camera). Most digital camera lenses express the lens' range in a focal length measurement, such as 25mm to 125mm. The focal length measurement more accurately measures the telephoto and wide-angle capabilities of a lens than the optical zoom measurement, which is simply a number signifying the difference between the wide angle and telephoto measurement. In the above 25mm-125mm example, it would have a 5X optical zoom measurement. LCD. The liquid crystal display (LCD) on the back of a digital camera can be used to frame a photo, like a viewfinder. However, keep in mind that the LCD rarely frames 100% of the image that the camera will shoot. LCD coverage sometimes can be 95% or higher, and the percentage sometimes is listed in the camera's specifications. It usually closely matches the view through the lens, but it doesn't exactly match it. Optical viewfinder. The optical viewfinder provides a non-enhanced, non-digital preview of the image the photographer is about to shoot. With low-end, point and shoot cameras, the optical viewfinder is not tied to the lens optics — instead, it's usually above the lens — meaning it probably will not precisely match the image the lens will shoot. High-end, DSLR cameras tie the optical viewfinder to the lens optics, providing a perfect preview of the upcoming image. Electronic viewfinder (EVF). The EVF in a digital camera is a tiny LCD that gives the photographer a chance to frame the photo. The EVF is a digital representation of the image. In terms of mimicking the view through the lens of the final photo, the EVF closely matches the LCD's accuracy.